Special Hobby Kit No. 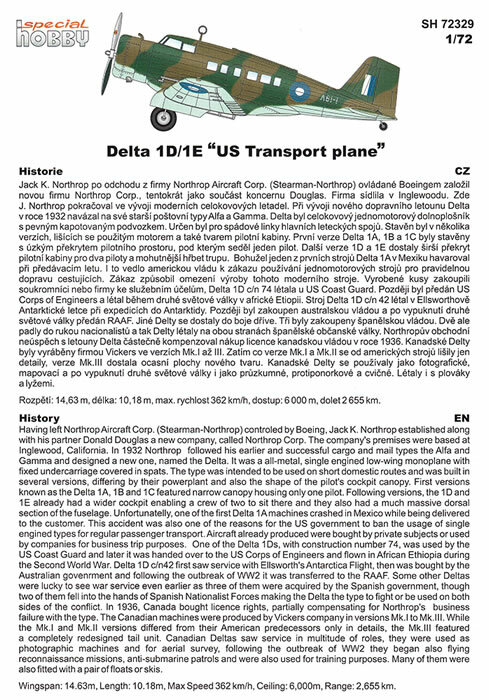 72329 - Delta 1D/1E “US Transport Plane - Late"
81 parts in grey coloured plastic, 13 clear injected parts, markings for three aircraft, instruction booklet. 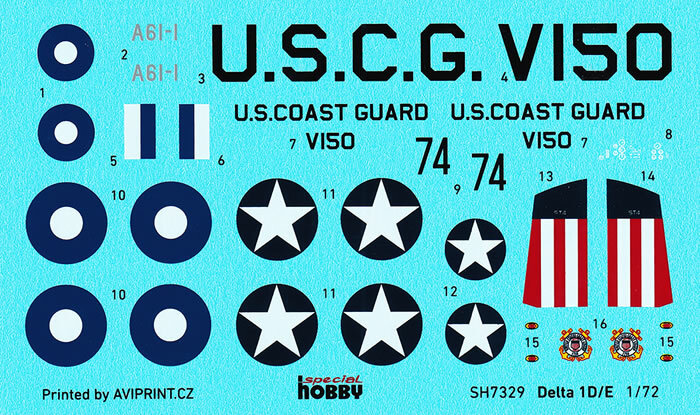 Accurate outline; crisply moulded plastic parts; nicely printed decal sheet with options for three different aircraft with minimal carrier film and perfect register. Clear instructions. Limited run kit so will need some test fitting to ensure a good fit. 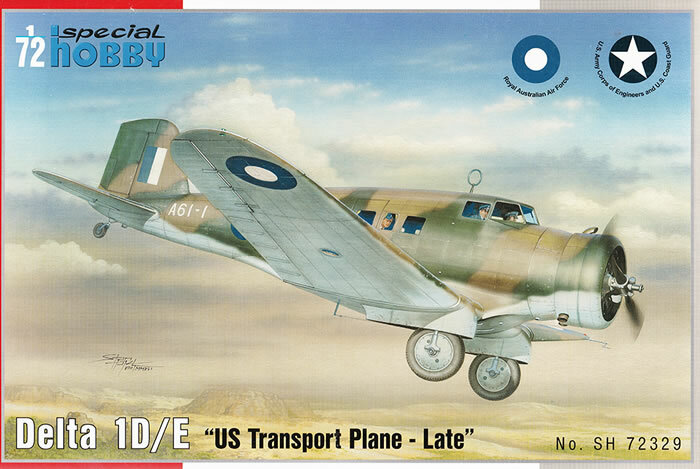 Special Hobby has reboxed the original Azur kit with extra parts with this 1D/1E being the first of a pair to receive new parts to upgrade the kit.. 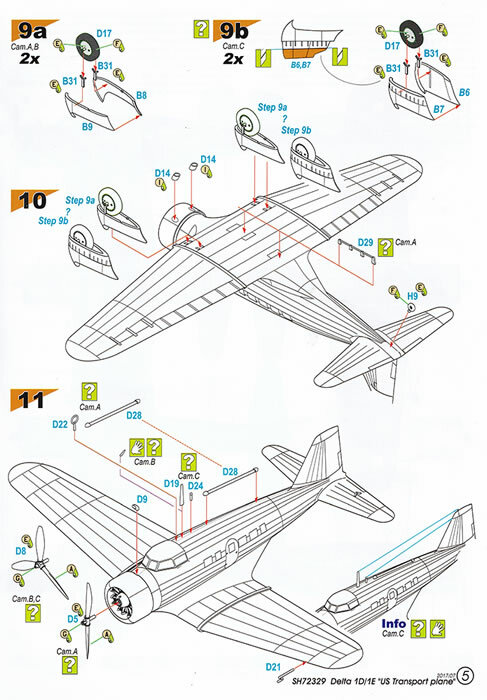 It appears to be accurate and easy to build kit of a well-known WWII subject. Having left Northrop Aircraft Corp. (Stearman-Northrop) controlled by Boeing, Jack K. Northrop along with his partner Donald Douglas established a new company, called Northrop Corp. The company’s premises were based at Inglewood, California. In 1932, Northrop followed his earlier and successful cargo and mail types the Alfa and Gamma and designed a new one, named the Delta. It was an all-metal, single engined low-wing monoplane with fixed undercarriage covered in spats. 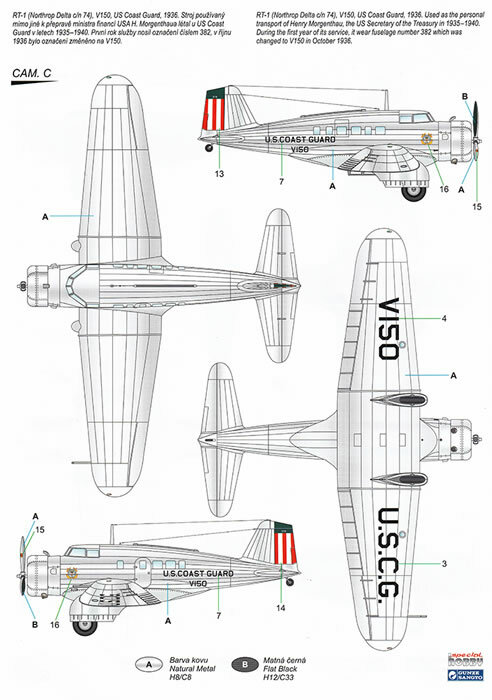 The type was intended to be used on short domestic routes and was built in several versions, differing by their powerplant and also the shape of the pilot’s cockpit canopy. The first versions known as the Delta 1A, 1B and 1C featured a narrow canopy housing only one pilot. Following versions, the 1D and 1E already had a wider cockpit enabling a crew of two to sit there and they also had a much massive dorsal section of the fuselage. Unfortunately, one of the first Delta 1A machines crashed in Mexico while being delivered to a customer. This accident was also one of the reasons for the US government to ban the usage of single engine types for regular passenger transport. Aircraft already produced were bought by private subjects or used by companies for business trip purposes. One of the Delta 1Ds, with construction number 74, was used by the US Coast Guard and later it was handed over to the US Corps of Engineers and flown in African Ethiopia during the Second World War. 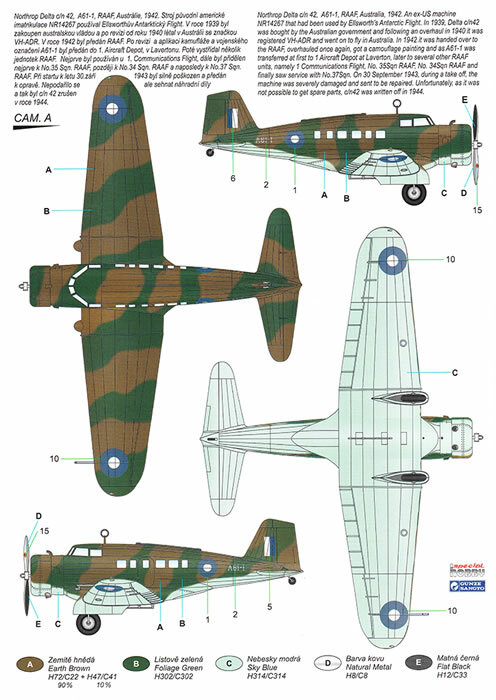 Delta 1D c/n42 first saw service with Ellsworth’s Antarctica Flight, then was bought by the Australian government and following the outbreak of WWII it was transferred to the RAAF. Some other Deltas were lucky to have seen war service even earlier as three of them had been acquired by the Spanish government, though two of them fell into the hands of Spanish Nationalist Forces making the Delta the type to fight or be used on both sides of the conflict. In 1936, Canada bought licence rights, thus partially making up for Northrop’s business failure with the type. The Canadian machines were produced by Vickers Company in versions Mk.I to Mk.III. While the Mk.I and Mk.II versions differed from their American predecessors only in details, the Mk.III featured a completely redesigned tail unit. Canadian Deltas saw service in a multitude of roles, they were used as photographic machines and for aerial survey, following the outbreak of WWII they began also flying reconnaissance missions, anti-submarine patrols and were also used for training purposes. Many of them were also fitted with a pair of floats or skis. 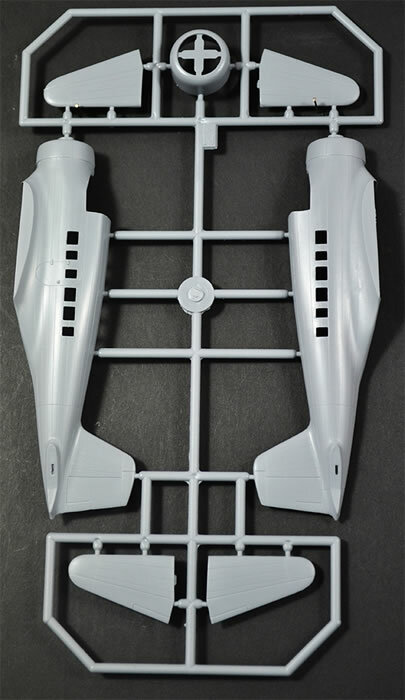 This kit brings the option to build one of two Delta Mk.II aeroplanes or one in the Mk.III version which sported a new tail fin. All of these three machines flew in natural metal overall, one was used during 1937, the two others were seen in service in the WWII era. 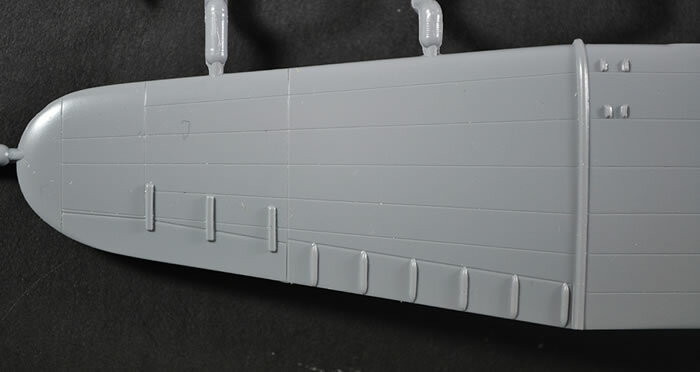 This sprue has the major parts of the kit on it, with only a count of 7 parts. Here we have the fuselage halves in one piece each, tail planes pieces and the engine cowl. 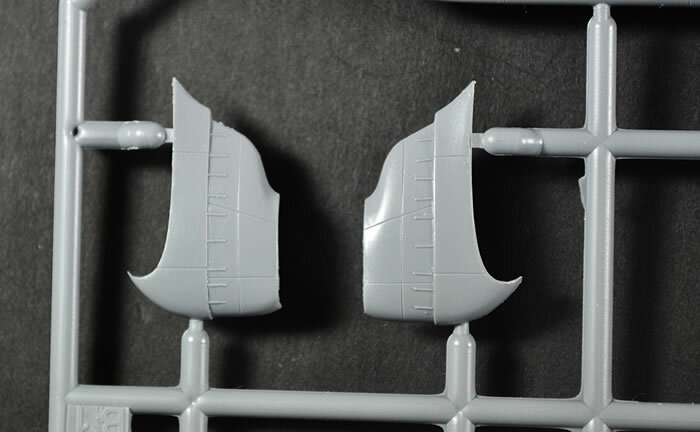 The panel lines are recessed with restrained depth but lovely detail. 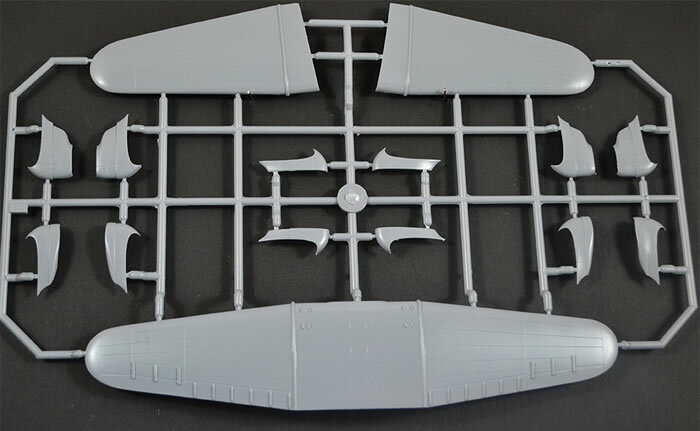 Sprue B gives us 15 parts, but of these 4 are not to be used as they are the wheel spats of the Canadian version of the aircraft in the series. On here, we have the one piece lower wing, the 2 upper wing sections and parts for the 2 options of wheel spats for the camouflaged and natural metal versions. 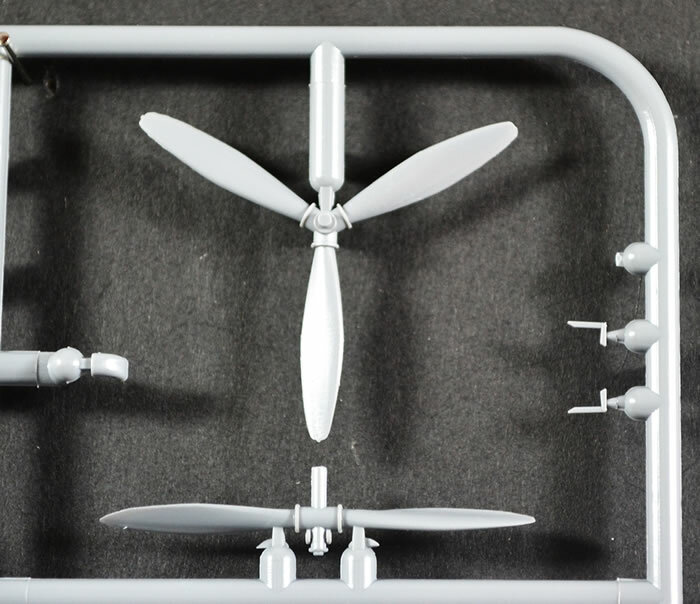 This sprue has the majority of the smaller detail parts for the airframe as well as the radial engine, magneto covers, wheels and a choice of either a 2 bladed prop, for the Australian version, or a 3 bladed prop for the 2 US versions. There are 41 parts on the sprue but the spares box will get a top up with 16 of these for the Canadian version and not needed. 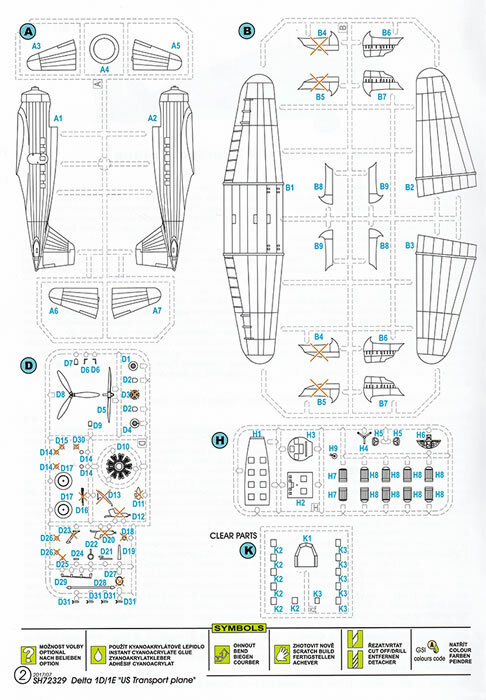 Sprue H provides the 18 parts needed to create the internal cockpit and passenger section. This provides a raised detail instrument panel, 2 pilot seats and 8 passenger seats as well as fuselage walls for both the cockpit and rear section. 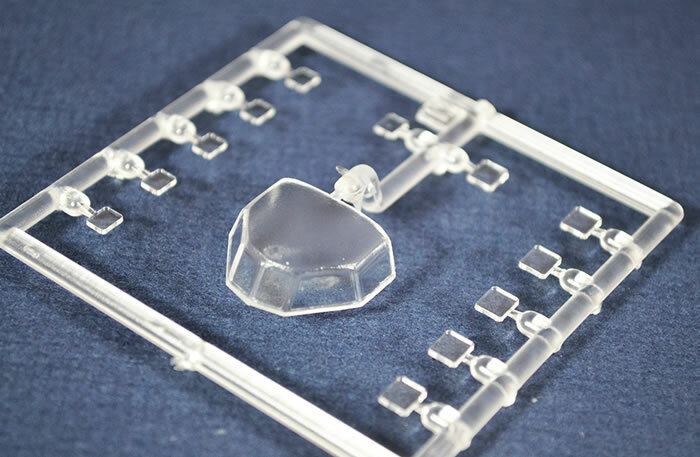 Here we have the clear sprue. This is a bit of a mixed bag. The small passenger windows are lovely and clear with no flash and with minimal clean up, ready to put in. The windscreen section is a different matter. Mine is quite foggy, as you can see in the photo, and will need a good deal of work to bring it back to a good level of clearness. It’s hard to imagine that these parts are on the one sprue tree. I believe there is a mould fault involved here. The instruction booklet is a glossy booklet of 8, just under, A4 sized pages with B&W diagrams that clearly illustrate the build sequence. The A6 sized decal sheets is crisply printed by Aviprint and appears to be in good register. RT-1, V150, US Coast Guard, 1936 – natural metal. In conclusion, this kit adds a refined kit able to produce a nice version of the Northrop Delta. 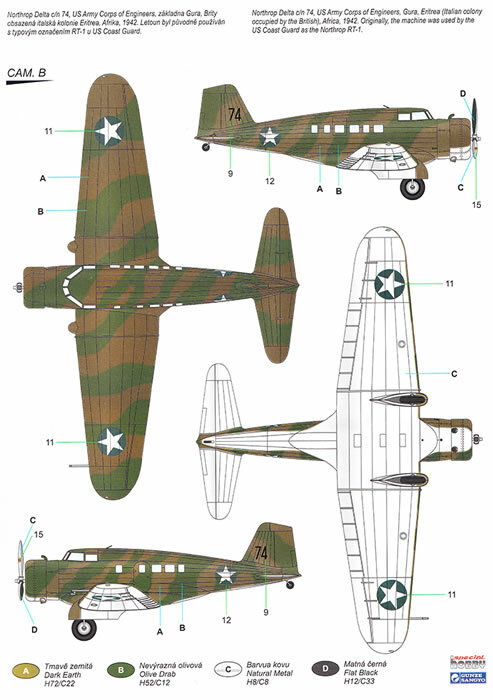 This kit certainly looks as if it will build into an excellent model with a little TLC by the average modeller. A must for those interested the RAAF to fill that elusive gap in the A number series or the early US transport aircraft. This kit certainly looks the quality to recommend to my fellow modellers. Thanks to Special Hobby for the review sample.